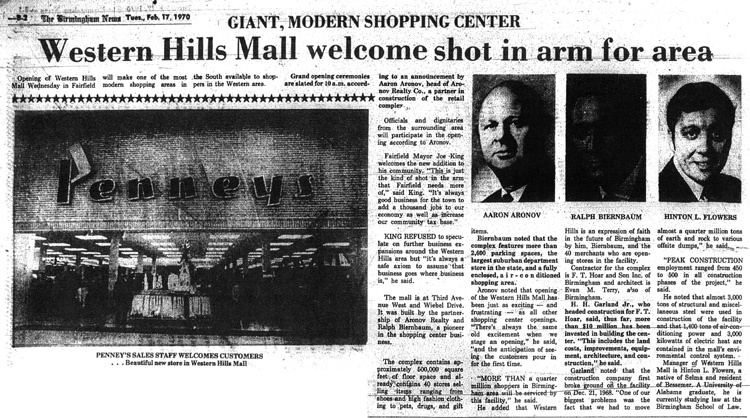 Birmingham's third shopping mall opened its doors Wednesday, February 18, 1970, giving those on the west side a taste of what those around Eastwood Mall had been enjoying for nearly ten years. 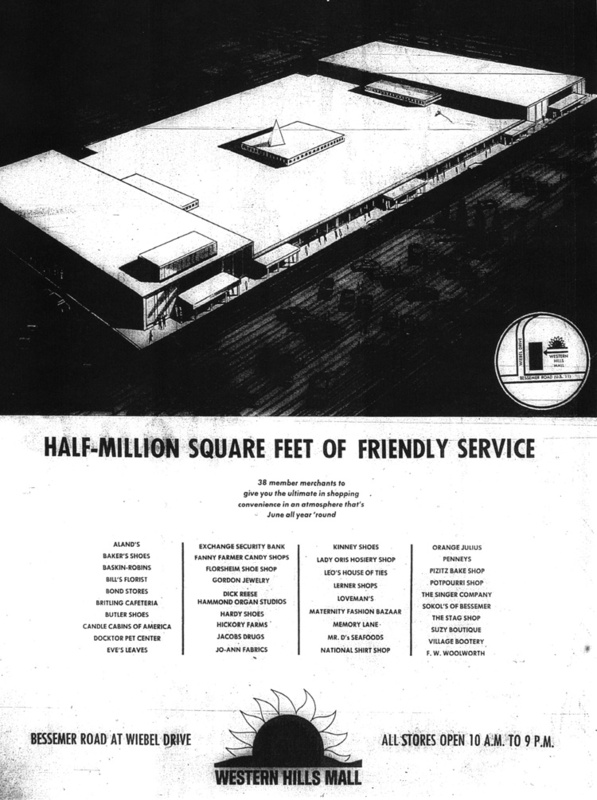 Western Hills, like most shopping malls built in that era, was an I-shaped footprint with two anchors. 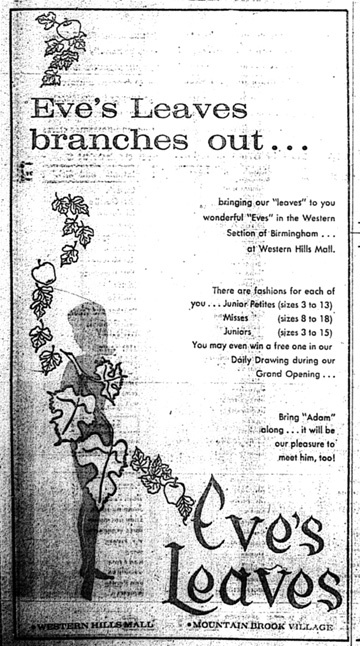 Those anchors were Penney's and Loveman's. 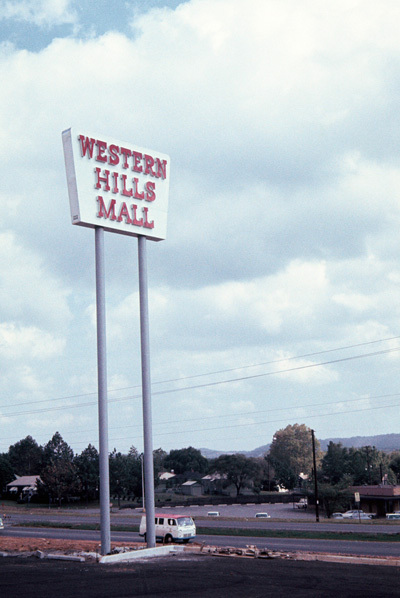 Original mall signage after its installation. 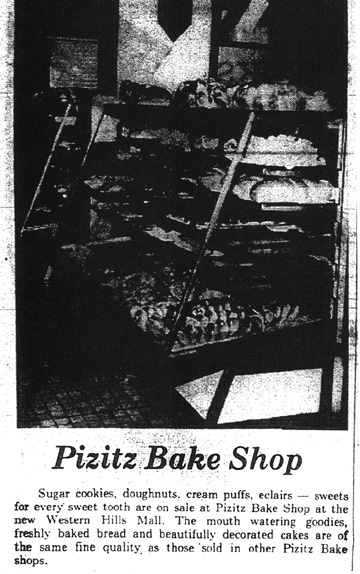 You didn't need a "food court" to have a succulent choice of eating places in Western Hills Mall ... Woolworth's offered one of their iconic "Lunchonette" counters ... Britling Cafeteria had a location ... so did Pizitz Bake Shop ... even Hickory Farms joined the ranks. 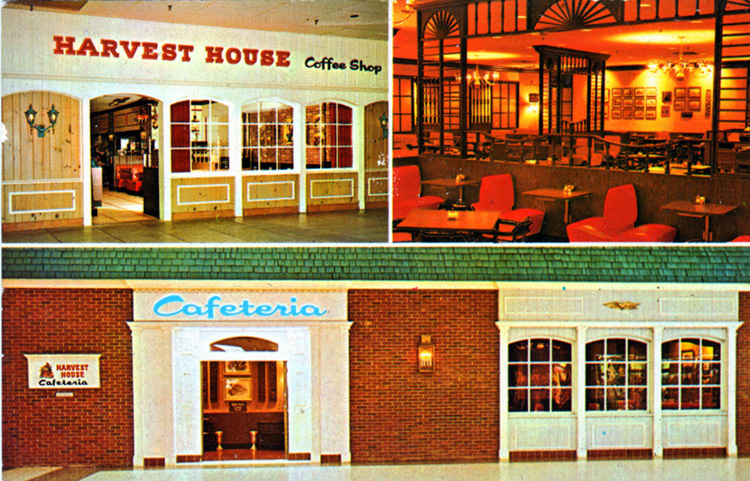 ....oh, and a "fast seafood" eatery comes to Birmingham. 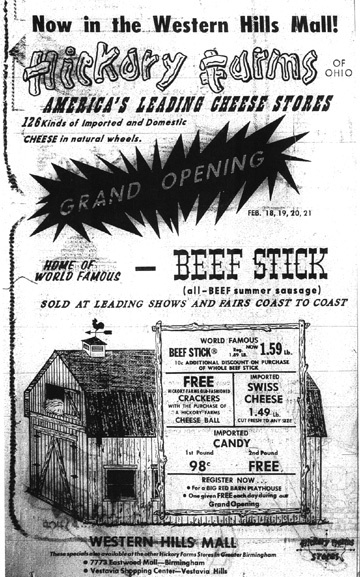 A new chain based out of Nashville. 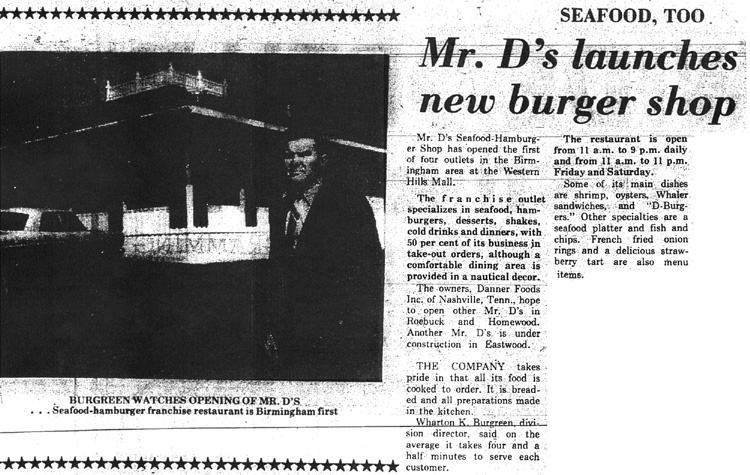 It was called Mr. D's, but several years later would change its title to one you'll recognize: Captain.